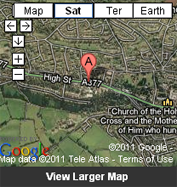 Crediton town lies just west of the confluence of the Rivers Yeo and Creedy and at one time was an important ecclesiastical centre. 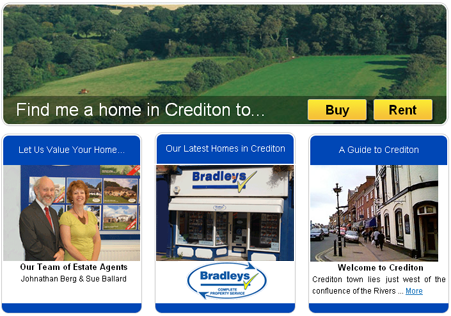 Crediton is now a thriving self contained community whose population exceeds some 6,000. Having had substantial links with the wool and leather trades in the 13th and 14th centuries, the town now boasts a sizeable and still expanding commercial estate, largely attributable no doubt to the town's geographical location, lying a mere 7 miles from the cathedral city and county town of Exeter with its excellent road, rail and air communications. From an academic aspect Crediton is particularly fortunate, the Queen Elizabeth's School and Community College having an enviable reputation with regard to secondary education, whilst Landscore School and Haywards School provide very good primary facilities. Formerly a market town, perhaps one of Crediton's most endearing aspects is its array of individual shops, many of which remain independent and privately owned, trading alongside some of the better known national retail outlets. There are also branches of the main Banks, Building Societies, two Doctors' Surgery's, a large Supermarket, Library, numerous Inns/Hotels, Leisure centre with swimming pool, recreational parks etc. For the Golf enthusiast there is a good 18 hole golf course located on the Exeter side of town. Still possessing a railway station based on the Exeter to Barnstaple rail-line (first opened in about 1854 by the then North Devon Railway Company) Crediton is undoubtedly one of Exeter's foremost commuter towns, there also being a frequent bus service available linking the two centres.